Today is Yom Kippur, the Day of Atonement, the Holiest day in the Jewish calendar. Many Jews who are secular nevertheless observe this day, and synagogues often have to assign tickets in advance to the participants so that there is enough room. This day follows Rosh Hashanah by ten days. Rosh Hashanah is the New Year, in which God traditionally records each person's fate for the coming year. In the following Days of Awe, the person confesses sin and seeks forgiveness for all sins against God and man. Yom Kippur, the day that the person's verdict is "sealed" for the coming year, is a solemn day of fasting, confession, and prayer. Yom Kippur stands in contrast to the messianic system, in which Yeshua, the perfect lamb of God, has already been sacrificed and made atonement for all sin: past, present, and future. The believer has exchanged his own deeds for Yeshua's righteousness; HaShem has made the sacrifice. To forsake Christ for the world is to leave a treasure for a trifle, eternity for a moment, reality for a shadow, all things for nothing. William Jenkyn (1613-1685) was an English clergyman, imprisoned during the Interregnum for his part in the ‘presbyterian plot’ of Christopher Love, ejected minister in 1662, and imprisoned at the end of his life for nonconformity. Nearly thirty-five years ago, as a relatively new believer, I was getting ready to leave a Sunday morning church service when I noticed a newcomer sitting in the pew in front of me, a few seats down. As we all made our way toward the center aisle to exit the building, my eyes caught his so I smiled and introduced myself. We exchanged brief pleasantries, and then, as I turned to move on, I wished him well and promised to pray for him and his family during the week. I had no sooner climbed into my car, however, than I felt convicted of not having taken the time to pray for him on the spot. The feeling that I needed to offer to do so would not go away, though I argued with myself that he had probably already left. Still, I decided to go back into the building to check. Sure enough, though the sanctuary was otherwise empty by then, the young man sat alone in a pew, his head in his hands, and I realized my sense of urgency had been God’s call to prayer. I went to him and told him I believed the Lord wanted me to pray with him, and he began to weep. And I’m so glad I obeyed! How often do we say we will pray for someone and then forget our promise? And how important is it to obey God’s specific call to prayer? Sometimes that call to prayer comes as a nudge from the Holy Spirit, as it did for me that day more than three decades ago, but other times it comes through a command in the Scriptures. First Timothy 2:1-2 is explicit in its call to all believers to pray “first of all” for those in authority, whether political or church leaders. Are we heeding that command? Do we regularly pray for our pastors, our congressmen, our President, regardless of how we may feel about them personally? I’ve been a part of the presidential prayer team since its inception in 2001, meaning that I daily prayed for President George W. Bush, those who worked with him, and their families. It also means that I now pray daily for President Barack Obama, those who work with him, and their families. As a believer I have no choice. If I fail to pray for those in authority simply because I don’t happen to agree with them, then I am being disobedient to God. And yet I have heard Christians complain about George Bush and his policies, as well as Barack Obama and his. We seem to be quite accomplished as complainers, but not so faithful as intercessors. In addition to being disobedient, that makes us poor witnesses to those who don’t yet know the One who issued the commandment to pray. I for one have been guilty many times of promising to pray but not following through. As a result, I find myself becoming critical of others. Whether a young man contemplating suicide or individuals in positions of authority with nearly unfathomable responsibilities on their shoulders, people need us to be obedient and to intercede for them. Let’s commit together to use our words “first of all,” as the scripture instructs, to pray for and bless people, rather than criticize them. If we do, God will be faithful to fulfill His purpose. ***Please take a moment to visit my website at www.kathimacias.com to sign my guestbook or leave a comment on my blog for a chance to win one of my new books. 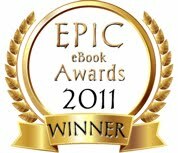 Please check out my new blog as well: http://kathieasywritermacias.blogspot.com. ***Also, please visit www.setfreetoday.com, where I serve as Spiritual Director. Come as you are…leave with a new beginning! Drop us a note or prayer request while you’re there. There is a new service just forming, Vault, that is designed to get your book in front of traditional publishers and agents. They offer the first month of listing for the author free, and after that the cost is $10 per month. The publishers create an account, and can then troll the site to see if anything looks interesting. Since Vault is in its beta mode, the first three hundred authors to list get 4 months free. I don't know, but it looks interesting anyway. I've already created a listing, and figure I can d/c it if it doesn't seem to be working. What is the Publetariat Vault? The Publetariat Vault is a searchable database of independent literary works for which the authors own all rights free and clear and are interested in selling those rights, with accompanying sales data and reader reviews, to take the guesswork out of determining commercial potential in the mass market. Though publishers and content producers (i.e., film, television, game and online content producers) know a successful indie (self-published) book is a proven quantity and therefore a low-risk acquisition option, these books don't come to their attention until after becoming breakout hits. By that time, numerous buyers are interested and it's much more difficult and expensive to acquire the rights. The Publetariat Vault solves this problem by providing a searchable database of indie books available for acquisition. The Vault makes it easy to locate indie books based on detailed criteria and keywords, and simplifies the process of identifying the most promising candidates by providing not only standard catalog information, but actual sales data, a full synopsis, excerpt, and direct access to all of the following: customer reviews from multiple booksellers, reviews on reader community sites, author websites, author blogs, author social media profiles, publicity the author and book have received, and additional author writing samples---all on a single listing page. With this trove of data at their fingertips, publishers no longer need wonder if a given book will sell well or be well-received by readers, nor if the author will take an active role in helping to promote the book or produced content. Who are the publishing pros and content producers who will be allowed to search the Vault's listings? Anyone who is in a position to purchase some or all of the rights to a given indie book, or who is in a position to make an offer of representation to authors, may sign up for a publishing pro/producer account. This includes publishing house acquisitions staff, independent or small imprint staff, literary agents, literary managers, film and television producers, game producers, online content providers, and anyone else who can offer authors either representation or a contract for some or all of a given book's content rights. Once the Vault opens for pro searches, a list of registered pros will be posted to the site and updated regularly. We will also post any Vault success stories reported by authors or pros. What information do I need to provide in my Vault listing? At the minimum, you must provide Book Title, Author Name(s), Cover Image, Brief Description, Type (fiction, nonfiction, reference, poetry or art), Genre(s), Page Count (for print books), Word Count, Adult Content Yes/No/Not Applicable, Recommended Reading Level, Protagonist Gender (if applicable), protagonist age (if applicable), sales data, synopsis and excerpt. You also have the option to include links to any or all of the following: your book's product pages on bookseller sites, your book's pages on reader community sites, other reviews of your book, author website(s), author blog(s), author social media profile(s), buzz and publicity about the book or author(s), other writing sample(s). You can view a screen capture of the listing form here, or register for Vault membership (it's free) to view the real form. 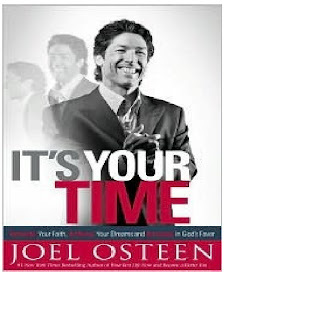 I found this brief preview of Joel Osteen's latest book on The White Horse Inn blog. Osteen's prepub statement says that you can achieve your dreams with this new book. Here are some other prepub statements released with the book. The WHI blog wonders, "how some of the following pick-me-ups would sound to believers in Africa, right before they are martyred for their faith." Get your hopes up. Raise your expectations. Expect the unexpected. In challenging times, it may be hard to see better days ahead. You may feel as though your struggles will never end, that things won’t ever turn around. This is exactly the moment when you should seek and expect God’s blessings. It’s your time to declare your faith, to look for God’s favor and to give control of your life to Him so that you can find fulfillment in His plans for you! Tune out the negative messages. Quit telling yourself: I’m never landing back on my feet financially. I’m never breaking this addiction. I’m never landing a better job. Instead, your declarations should be: I am closer than I think. I can raise this child. I can overcome this sickness. I can make this business work. I know I can find a new job. Whenever life grows difficult, and the pressure is turned up, that’s a sign that your time is near. When lies bombard your mind. When you are most tempted to get discouraged. And when you feel like throwing in the towel. That’s not the time to give up. That’s not the time to back down. That’s the time to dig in your heels. Put on a new attitude. You are closer than you think. God promises your payday is on its way. If you’ll learn to be a prisoner of hope and get up every day expecting God’s favor, you’ll see God do amazing things. You’ll overcome every obstacle. You’ll defeat every enemy. And I believe and declare you’ll see every dream, every promise God has put in your heart. It will come to pass. "Just for the record, out of the fourteen free pages of teaser text about “faith, favor, and fulfillment,” there isn’t one, not one mention of Jesus." NOTE: I'm not promoting drinking. 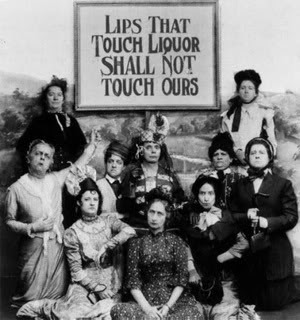 I don't drink myself, although have no problems if someone wants to imbibe RESPONSIBLY. Just thought this was pretty funny. Seriously...would you actually WANT to touch these lips??? Polls asking about Heaven and Hell (a link to one from gallup is here) show that the majority of people believe in both, and furthermore that most people think they're going to the good place. What do you believe it takes to get into Heaven? There are of course many belief systems, ranging from Muslim to Jewish to New Age to Secular Humanism. 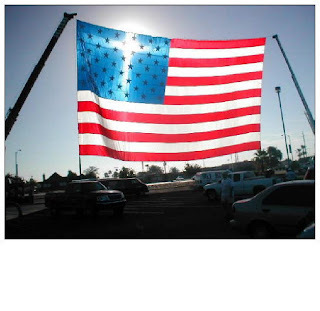 I'm going to focus today on the Christian faith, since despite presidential pronouncements to the contrary I still believe we are largely a Christian nation, accompanied of course by the freedom to worship in ANY way we see fit, a doctrine I firmly support. I also am focusing on Christianity because I believe it is true. As a skeptic I spent almost a year investigating the claims of the resurrection, without assuming the existence of God or miracles, and came to the conclusion that Jesus did indeed rise from the dead. This truth has rocked my world and redirected the course of my life. You can read about how I came to this conclusion on my website HERE. If you walk into a church or a revival meeting, it seems to be a fairly easy proposition to be assured a place in Heaven -- you simply say a prayer and you're set. Polls have shown a fairly stable estimate for North Americans questioned of about 40% saying they attended church (or other place of worship) at least 3 weeks out of 4, which suggests that many people are OK. The wide gate is the easy way, the way that says you can pray to God for whatever you want and, like the genie in Aladdin's bottle, He will grant it to you. The wide gate says that God wants you to be happy happy happy in this world, and he is an indulgent parent who will give you health, riches, honor, whatever, as long as you ask Him. He will forgive you even if you're not quite as repentant as you should be, because after all, He loves you. It's all about you, you, you. The narrow gate is hard. The road to it is rocky and the way precarious. You need to squeeze through a difficult fit in order to focus on Him. You need to trust that He knows what He's doing, even when it doesn't seem like He does. This world will not necessarily be pleasant, although it can make you strong in faith if you let it. You need to give up all you have, and are, in order to be opened by Him. It comes down to what sort of relationship you want to have with God, whether the center of that relationship resides on you, or on Him. Wow, this scared me. The broad way, whether religious or secular, is basically about "doing what I want to do."